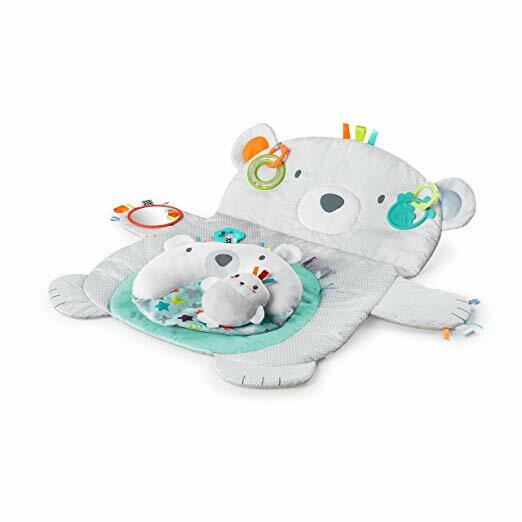 Get ready for your next big adventure! Travel back in time. 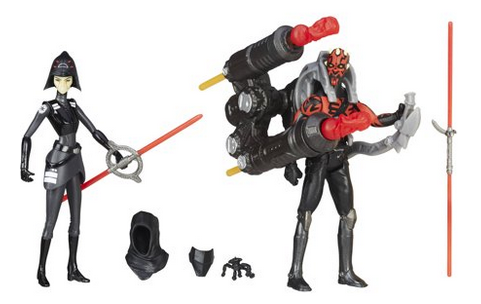 Battle monsters. Solve mysteries and complete quests while exploring a growing chain of story-based islands. 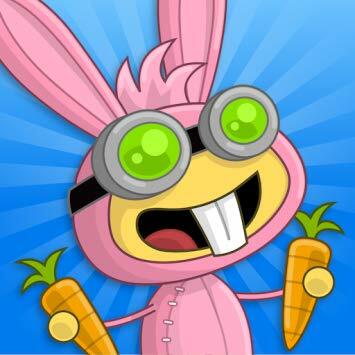 Created by Jeff Kinney, author of the Diary of a Wimpy Kid series, Poptropica is a kidSAFE-certified virtual world enjoyed by millions of adventurous kids across the globe! Download for free on Amazon, iTunes, and Google Play. 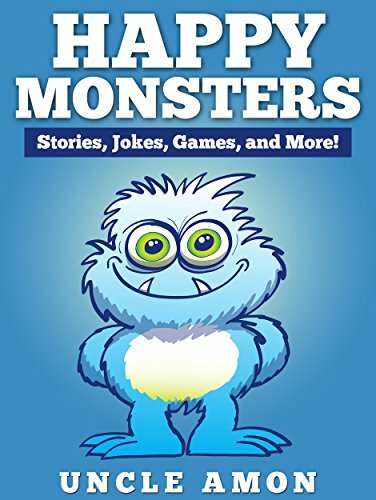 Amazon is offering free Kindle eBook downloads and audio versions of Uncle Amon's Happy Monsters: Stories, Jokes, Games and more. 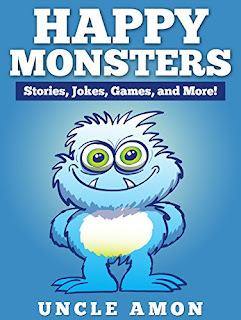 Happy Monsters is a fun storybook about a few friendly monsters! This is an excellent read for beginning and early readers. Each story is easy to read and exciting with cute and bright illustrations for younger readers. Walmart has rolled back the price of the Star Wars Rebels Electronic Duel Kanan Jarrus to $7.99 (regularly $19.97). 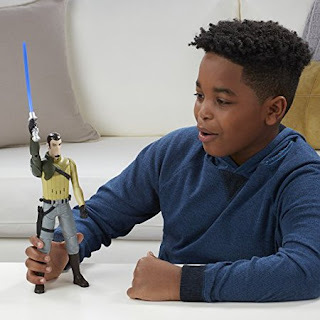 Bring the leader of the Ghost crew to life and re-create battle action moments from Star Wars Rebels! The power of the Force is in your hands! 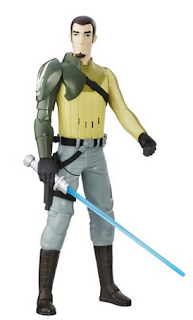 Squeeze the legs to activate Kanan Jarrus' iconic lightsaber that features a light-up blade! 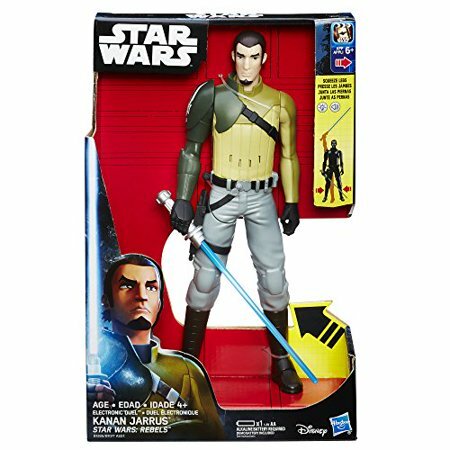 The Electronic Duel Kanan Jarrus also features authentic battle sounds when engaged. In addition to carrying a lightsaber, Kanan Jarrus is also outfitted with a blaster, an uncommon practice for a Jedi. 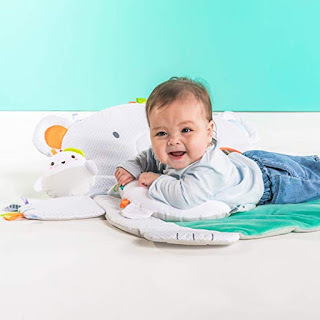 Amazon has the Bright Starts Tummy Time Prop & Play on sale for $19.59 (regularly $34.99). Walmart has the Star Wars Rebels Seventh Sister Inquisitor vs. Darth Maul action figures set on sale for just $8.97 (regularly $14.97). 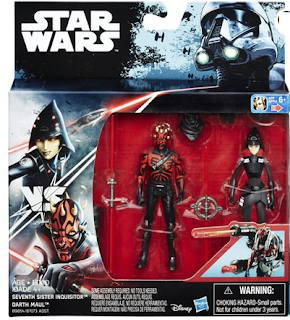 Driven by revenge against the Sith and consumed by a personal obsession to turn Ezra Bridger to the dark side, Darth Maul faces off against the Seventh Sister Inquisitor, a cunning mastermind who uses a group of mimic droids to track down the Rebels and capture the Jedi. This exciting Star Wars Rebels Seventh Sister Inquisitor vs. Darth Maul battle pack includes two figures, four accessories and a dual projectile launcher for awesome battle simulation. 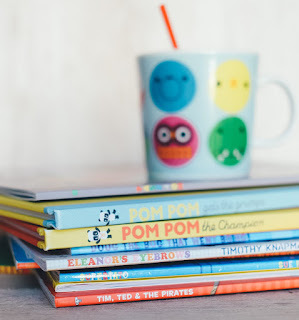 Enter to win a lifetime of book boxes for your child from Tiny Humans Read. 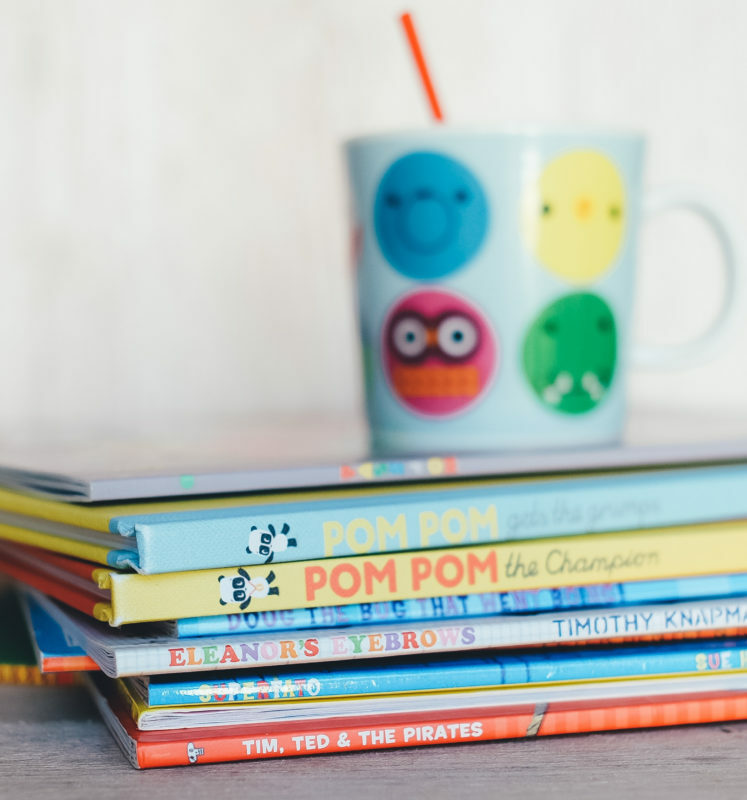 Choose from the board book box, picture book box, or sibling mix box. Amazon has the Crayola Travel Lap Desk with Storage on sale for just $6.88 (regularly $23.49) and shipping is free. 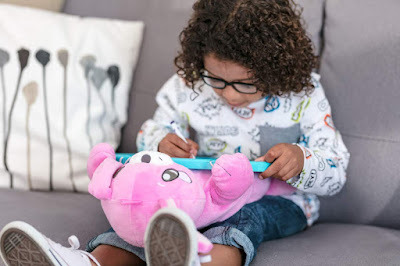 Crayola kids' Travel lap desks allow kids to color and draw on the go All with an adorable travel buddy along for the ride. This convenient, create-anywhere companion offers a durable hard surface for all kid art while the plush bunny fits comfortably in a child's lap. 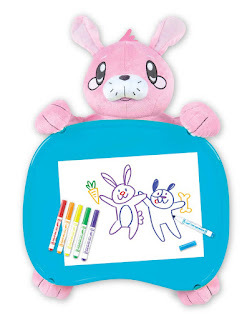 Also features a pouch to hold the included 6 Pip-Squeaks Skinnies markers and additional art tools. The bunny detaches easily from the desk to make machine washing a snap!